The Mohawks continue their season next Monday when they travel to take on the Cuyahoga Valley Christian Academy Royals. The Valley Indians fall to 1-1 after Wednesday’s defeat at the hands of the Northwest Mohawks. On Wednesday night, two 1-0 teams faced off in an SOC battle. 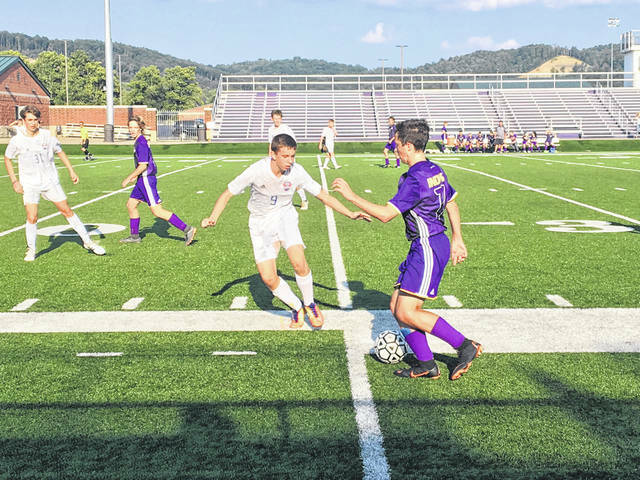 The Northwest Mohawks, who came off of a 10-2 win against the Clay Panthers, traveled to Lucasville to take on the Valley Indians, who completed a shutout in their last game winning by a score of 3-0. The Indians and Mohawks were hoping to carry the momentum from their impressive wins into this match. To start the game, the Mohawks’ Evan Throckmorton struck early by scoring the first goal in the 4’ on a nice move to get inside the box and finish. Northwest kept their early momentum and put another goal in the back of the net in the 7’ when freshman Brayden Campbell put a good touch on the ball to move it right past the keeper. From there, the game became more even with shots coming from both sides. With roughly six minutes remaining in the first half, Throckmorton fired a rocket from 30 yards out that was saved by an amazing dive from Indians’ keeper Trevon Donini. The save from Donini kept the score at 2-0 for the Mohawks leading into halftime. Four minutes into the second half, the Indians keeper came out to assist his defense and clear the ball from outside the box. The clearance was intercepted by Evan Throckmorton who took one dribble and fired from 40 yards out to put the Mohawks up 3-0. The two teams again battled to a stalemate for the next twenty minutes, with both teams earning corners and free kicks. A free kick earned by the Mohawks right outside the Indians box loomed danger but was saved again by the Indians keeper. With fifteen minutes left in the game sophomore Dylan Dehart dribbled the ball down the left hand side of the field and placed a beautiful cross on the ground to fellow sophomore Kyle Butler who tapped it in on the backside and put the Mohawks up 4-0. The Indians would not go down without a fight however, with 1:54 showing on the clock freshman Austin Sommers made a nice move to get open at the top of the box and placed a screamer right over the keeper’s hands, bringing the game back to 4-1. 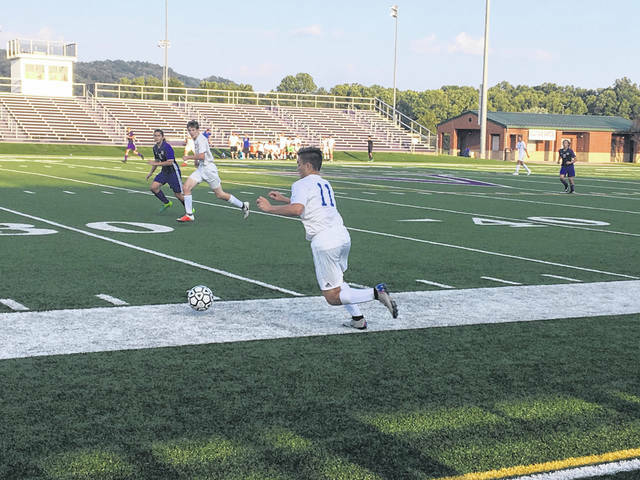 The Valley Indians had fourteen shots throughout the game connecting on one, with six being saved between the two Northwest keepers. The Mohawks had 22 shots and connected on four, with ten being saved by the Indians keeper. The Mohawks also barely won the corner matchup; the Mohawks earned seven corners to the Indians six. The Mohawks continue their season next Monday when they travel to take on the Cuyahoga Valley Christian Academy Royals. The Indians will have to wait until next Tuesday to try to bounce back with a win when they travel to take on the Clay Panthers.